Barker are just one win away from claiming the outright CAS premiership for the first time in five years following a famous victory over Waverley on a windy afternoon at Queens Park. In one of the best matches of rugby any fan will watch this year, Barker scored 19 unanswered points in the second half and took the lead in the 78th minute after moving the ball 80 metres to score in the opposite corner. Waverley centre Lathan Hutchison-Walters had a chance to steal victory with a difficult penalty goal attempt after the full time siren, but his kick sailed wide. In front of a strong crowd in Sydney’s Eastern Suburbs, Barker opened the scoring from a well worked backline move, started from a scrum inside their own half. Waverley hit back soon after through Australian Schoolboy No.8 Luca Moretti and took control of the match with two more tries from close range to take a 22-7 lead. Barker prop Angus Collison barged over from close range just before the break to get his side back into the match. The Reds looked like scoring again early in the second half, before their final pass was intercepted by Waverley winger Jacob Tomasiello, who ran 90 metres untouched to score and give his side a 29-12 lead. Playing with a strong breeze behind them, Barker dominated territory in the second half and scored off a quick tap from close range to reduce the deficit to just 10 points. With 10 minutes remaining, winger Kyle Galloway finished off a nice try from a scrum deep inside Waverley territory and suddenly Barker were only three points behind. With their season on the line, Waverley tried to control possession in the final five minutes but were struggling to find a way out of their own half. Eventually, Hutchinson-Walters kicked deep into Barker territory but the ball was fielded by Ben Bryden before it reached touch. Bryden beat several defenders and kicked ahead, then caused a turnover inside Waverley’s quarter. Barker controlled possession then eventually spread the ball to prop Dane Wilson who dived over in the opposite corner to put his side ahead. Waverley regained possession from the restart and earned a penalty 30 metres out, towards the sideline, but Hutchison-Walters was unable to convert the difficult attempt on a windy afternoon. Heading into next weekend’s final round, Barker can claim the outright premiership by beating Knox at home on Saturday. If they lose and Waverley beat Trinity, the two schools will be named joint premiers. 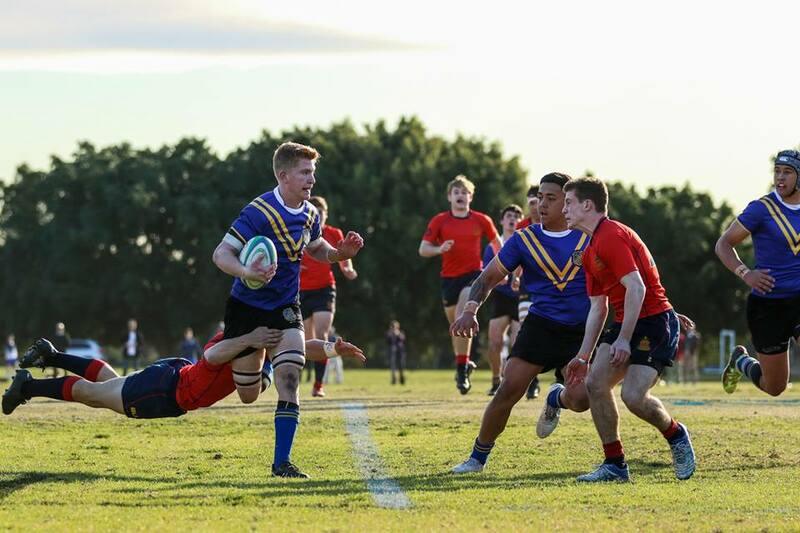 In other CAS results, Trinity produced their best performance of the season so far to beat Cranbrook 32-8, while St Aloysius beat Knox 21-7.